A subdued update to a perennial favorite. 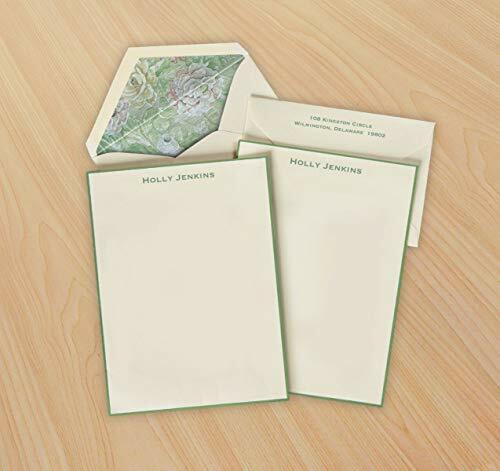 Soft Sage hand bordered sheets feature opulent foil lined envelopes as an option. Size: 5 3/4" x 7 3/4"